We know from reading Voltaire’s letters that he likes quoting – French literature in abundance, but also a fair amount of Latin. There is often a strong sense that he is quoting from memory, which is more than likely the lasting mark of his Jesuit teachers at Louis-le-Grand, who put Latin at the centre of the curriculum. Indeed, Voltaire had the benefit of some renowned Jesuit scholars as his teachers, notably Le Père Porée, who famously taught a ‘Senecan’ prose style, and Le Père Thoulier (later the abbé d’Olivet), a distinguished Cicero scholar who remained on friendly terms with Voltaire throughout his career. Latin verse in particular, played a preponderant role in Voltaire’s education, as poets were at the heart of college teaching, and Virgil, Ovid, and Horace were by far the big three since the 16th century at least. The Jesuits taught primarily by way of daily recitals (recitatio) of verse required by all students: ‘On attachait à la recitatio une importance dont nous n’avons pas idée aujourd’hui…’ (Dainville, p.175). Thus, students at Louis-le-Grand all committed large chunks of Latin verse to memory as both a means of imitation for learning to write, and also as a method of retaining information, as Voltaire would elsewhere describe the pedagogical approach of the Jesuit Claude Buffier: ‘Il a fait servir les vers (je ne dis pas la poésie) à leur premier usage, qui était d’imprimer dans la mémoire des hommes les événements dont on voulait garder le souvenir’. 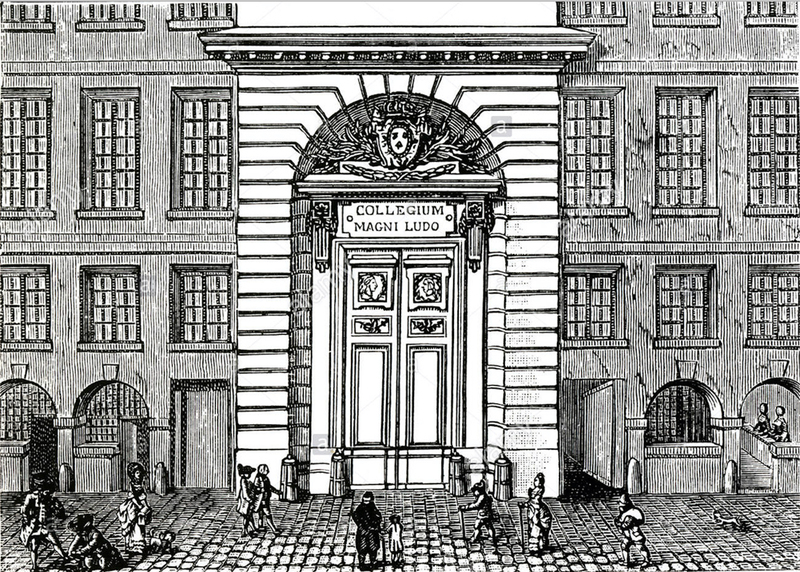 Collège de Louis le Grand, circa 1789. Given this background, we aimed to examine Voltaire’s use of Latin quotations across his massive collection of correspondence, described by Christiane Mervaud as ‘perhaps his greatest masterpiece’. The Besterman edition of Voltaire’s correspondence, originally published in some 50 print volumes, and digitised in the early 2000s as part of the Electronic Enlightenment project, contains 21,256 letters of which 15,414 are written by Voltaire himself. It is astonishing, then, that this masterpiece remains relatively unstudied. Besterman identifies Latin passages when they are from the major writers (Horace, Virgil, Ovid, Lucretius) – the authors for whom there were concordances easily available in the 1950s and 1960s. 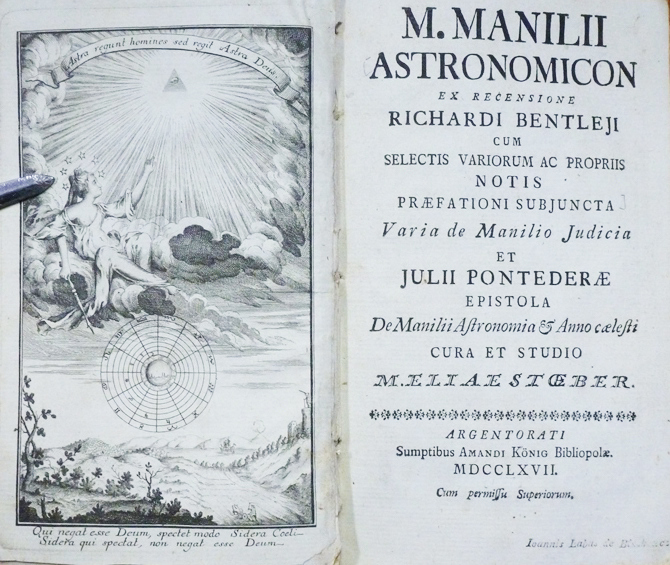 In the case of lesser poets like Manilius, however, Besterman was obliged to leave the passages unannotated. These passages can now be easily identified thanks to new methods developed in the digital humanities. In particular, as part of this year’s research programme in the Voltaire Lab, we compared all of Voltaire’s letters to Latin digital sources in an effort to systematically identify all of his Latin quotations, while at the same time, as we’ll see below, exploring the social and intellectual networks over which these quotations were exchanged. Using sequence alignment algorithms designed to identify literary text re-use at scale –developed in collaboration with the ARTFL Project at the University of Chicago – we identified some 672 Latin citations in Voltaire’s correspondence by comparing the letters to the Packard Humanities Institute’s Classical Latin Texts (PHI) digital corpus. The PHI contains essentially all Latin literary texts written before A.D. 200, as well as some texts selected from later antiquity. The resulting alignments allow us to move beyond Besterman’s ad hoc manner of identifying quotations towards a more systematic understanding of Voltaire’s use of Latin authors. Table 1. 342 individual Latin passages found in letters by Voltaire. Overwhelmingly Voltaire prefers to quote Latin poets; and that Horace, Virgil and Ovid should be the top three is hardly surprising, though the presence of Horace is dominant. There is breadth as well as depth here, and the list goes beyond the usual suspects to include minor figures such as Manilius, Statius, and Cato the Elder. Does this mean, for instance, that Voltaire is quoting someone like Manilius from memory? If so, how interesting and altogether unexpected. The next important question we broached was concerned with the recipients of Latin passages, i.e., who are the adressees of the letters in which these Latin quotations appear? In all we found 101 different recipients of at least some Latin, out of 1,465 total recipients in Voltaire’s correspondence (roughly 14.5 %). This is quite small, as a proportion of addressees overall. So how can we gloss these names as members of a group, or network of Latin quotations? Table 2. Addressees with more than five Latin quotations. 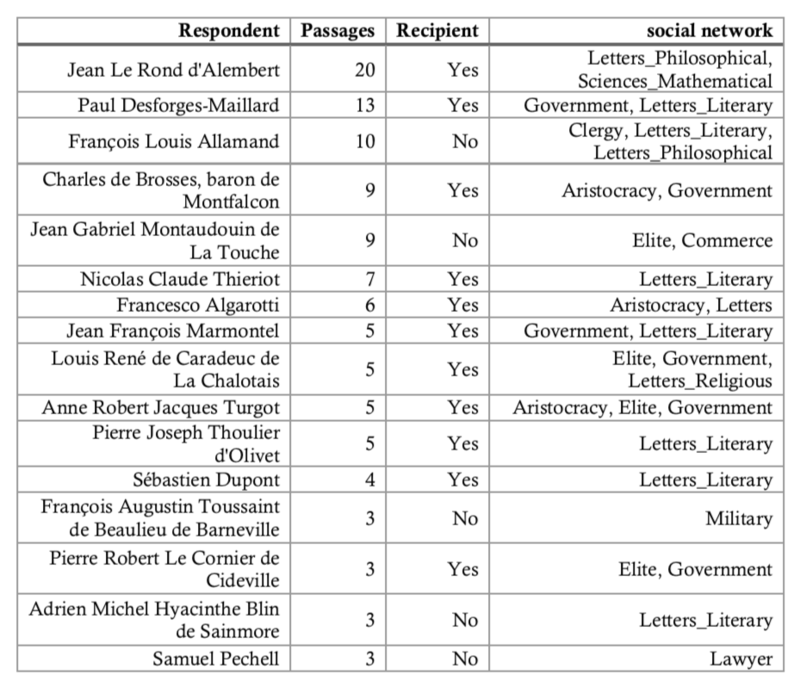 Using the ‘Procope’ social network ontology of the French Enlightenment, established by Dan Edelstein et al., at Stanford, we were able to automatically assign social categories to our list of addressees, which while not a perfect system, nonetheless helped us understand the fundamentally ‘elite’ status of this sub-set of Voltaire’s correspondents. After quoting the two lines from the Bucolics, Voltaire goes on to translate them for Madame de Choiseul, even though she can presumably understand the Latin – a case of early-modern ‘mansplaining’ in action. Formont, a wealthy, talented light poet who was also friends with Cideville. Theriot, a an early friend of Voltaire’s, from when they were both young apprentice lawyers, who was also friends with Formont and Cideville. Otherwise, we find many cultivated acquaintances in this list who are themselves authors: Frederick, Algarotti, D’Alembert, etc. ; along with one of Voltaire’s teachers from Louis-le-Grand: d’Olivet, translator of Cicero and Desmosthenes into French, elected to the Académie in 1723. Clearly, Voltaire’s use of Latin was a means of determining readership. By constructing an epistolary community with selected groups of correspondents, Voltaire underscored their shared experiences and humanist culture. But, to what extent was this sort of cultural exchange reciprocal? I.e., if Voltaire writes to you quoting Latin poets, do you feel obliged to respond in kind? What does it mean, for instance, that Voltaire uses Latin in so many letters to Frederick, and yet the prince never once uses Latin in return? 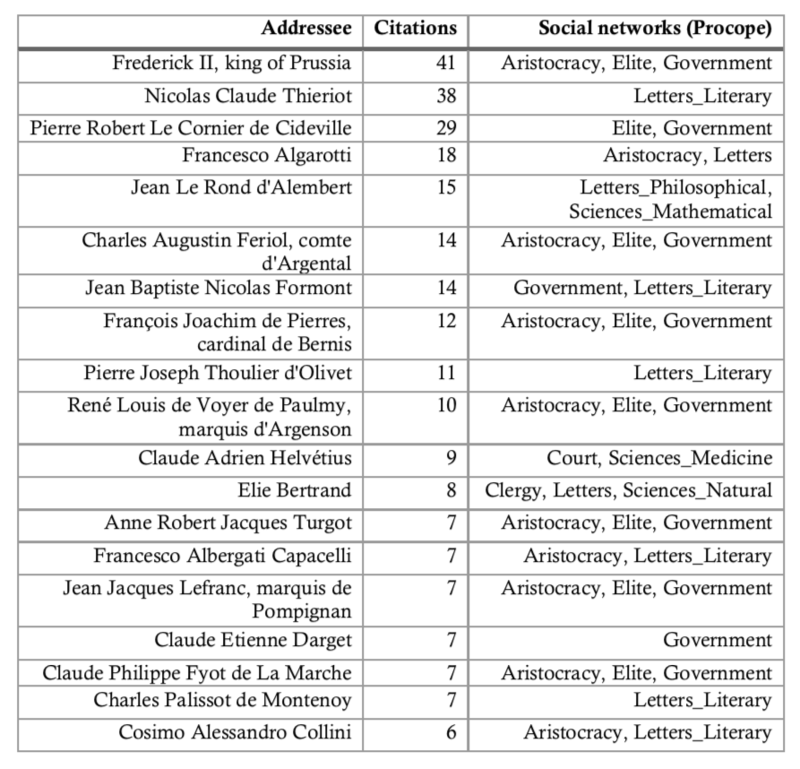 Socially, the 41 respondents identified belong by-and-large to the same ‘elite’ categories of government or aristocracy, although there is a markedly greater presence of hommes de lettres (an ‘intellectual network’ that overlaps with the ‘social networks’ drawn from Procope) in this second list. See Table 3. Table 3. 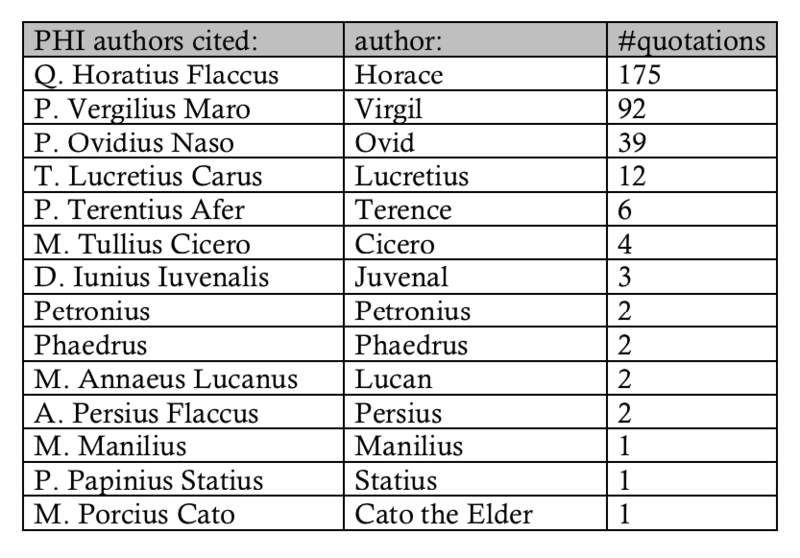 Respondents with more than two Latin citations. These are just some of the preliminary results we have begun to process in the context of a larger project on Voltaire’s culture of text re-use (including his penchant for ‘self-plagiarism’). As with most digital humanities projects, initial computational analyses don’t always produce ‘clean’ results, or cut-and-dried interpretations: some of the results have to be examined carefully, and some – as was the case for the grammarians and commentators mentioned above – will prove spurious or misleading. One begins asking one set of questions – can we identify Voltaire’s use of Latin and verify Besterman’s attributions – and end up with new ones: e.g., with whom did Voltaire use Latin, and how? Equally, we could extend these questions by examining other literary quotations, e.g., from French or Italian authors and by including other correspondence collections, comparing Diderot and Rousseau’s use of Latin, for instance, to that of Voltaire. Is this re-use or not? Besterman makes no mention of Cicero in his annotation, but rather places this passage into a more generic class of ‘Roman epistolary formulas’. But perhaps there is more going on here; perhaps the model of Cicero’s epistles – central to the Jesuit syllabus – remains at the forefront of Voltaire’s mind when he himself is in the act of letter-writing. With the sorts of addressees for whom Voltaire uses Latin quotations he may likewise use a Ciceronian subscription. Here the Ciceronian model shapes Voltaire’s epistolary rhetoric. See François de Dainville, L’Education des jésuites (XVIe-XVIIIe siècles) (Paris, Minuit, 1978). Voltaire, Siècle de Louis XIV, ‘Catalogue des écrivains’, OCV, vol.12. See Maria Teodora Comsa, Melanie Conroy, Dan Edelstein, Chloe Summers Edmondson, and Claude Willan, ‘The French Enlightenment Network’, The Journal of Modern History 88, no. 3 (September 2016): 495-534. [D17251]. Voltaire [François Marie Arouet], ‘Voltaire [François Marie Arouet] to Louise Honorine Crozat Du Châtel, duchesse de Choiseul [née Crozat]: Monday, 17 June 1771’. In Electronic Enlightenment Scholarly Edition of Correspondence, University of Oxford. [D3918]. Voltaire [François Marie Arouet], “Voltaire [François Marie Arouet] to Jean François Marmontel: Friday, 2 May 1749”, in Electronic Enlightenment Scholarly Edition of Correspondence, University of Oxford. Sorti vainqueur de son procès avec le capitoul David de Beaudrigue qui se venge en le faisant désarmer sur la place royale de Toulouse, La Beaumelle compose un mémoire pour la marquise de Montmoirac, accusée d’adultère par son mari, et travaille à une Vie de Maupertuis. La découverte le 17 octobre 1761 du corps de Marc-Antoine Calas bouleverse l’existence de La Beaumelle. Ses conférences avec l’avocat David Lavaysse, qui prend la défense de son propre fils Gaubert accusé avec la famille Calas, sont l’occasion de sa rencontre avec une des filles de Lavaysse, Rose-Victoire Nicol, devenue veuve. Deux années lui seront nécessaires pour obtenir l’agrément de celle-ci à leur mariage et le consentement du père. La situation particulière de La Beaumelle à Toulouse l’oblige à une grande prudence. Protestant notoire, ennemi personnel du capitoul David, il est connu de tous les acteurs de l’affaire, du procureur du roi et des juges du Capitole ou du Parlement comme des accusés et de leurs avocats. En décembre le président de Niquet obtient du comte de Saint-Florentin une lettre de cachet contre lui pour « mauvaise conduite » (un an après le ministre s’irritera d’avoir été abusé). Informé La Beaumelle quitte Toulouse pour Mazères (où Mme Nicol possède une propriété) et le pays de Foix, dont le commandant le marquis de Gudanes est un ami de David Lavaysse. Ainsi ne faut-il pas s’étonner que malgré les nombreux documents inédits que comporte ce volume, il ne soit pas possible de retracer dans le détail l’action de La Beaumelle en faveur des Calas. Le 1er décembre 1761 il a achevé la rédaction de la « Lettre pastorale » que Paul Rabaut envoie au Procureur général Riquet de Bonrepos, et qui imprimée sous le titre de La Calomnie confondue sera brûlée par le Parlement. 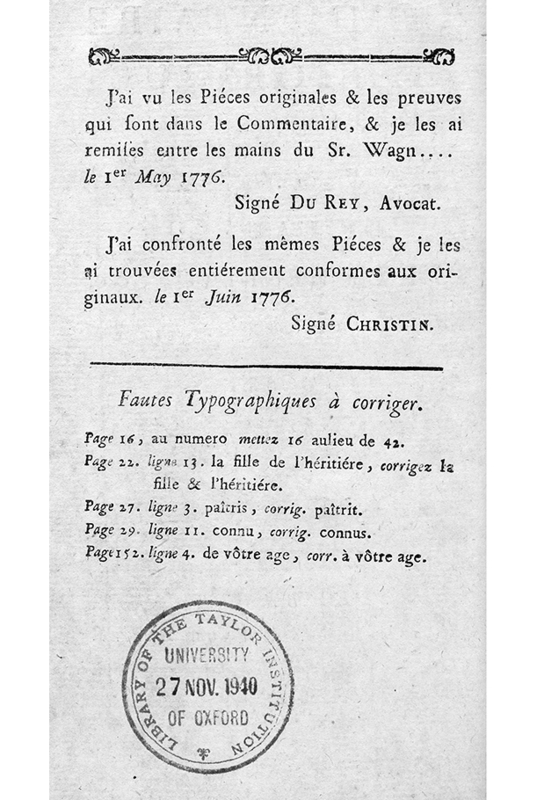 Il a collaboré au Mémoire pour le sieur Gaubert Lavaysse que publie David Lavaysse en janvier 1762. Les Observations pour le sieur Jean Calas, la dame de Cabibel son épouse, et le sieur Pierre Calas, son fils, signées par le procureur Duroux fils et traditionnellement attribuées au conseiller au Parlement Lassalle, doivent être restituées à La Beaumelle. Début juin il rédige le mémoire « au Roy » par lequel Mme Calas demande que soit « rétablie la mémoire de Jean Calas son mari en sa bonne fame et renommée ». Il compose en septembre le placet des demoiselles Calas pour obtenir leur libération des couvents où elles étaient enfermées. Title page of the first edition. With kind permission from the Bodleian Library, University of Oxford: VET.FR.II.B.1997. 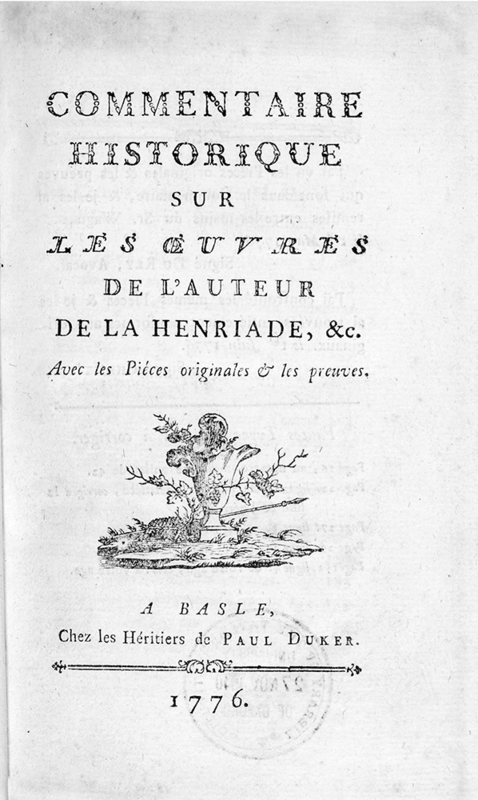 In the late summer of 1776 there appeared an anonymous Commentaire historique sur les œuvres de l’auteur de La Henriade. On the face of it, this biography of the 82-year-old Voltaire was written by a ‘man of letters’, not in his first youth either, with access to the great man and to the ‘chaos of his papers’. The work is indeed heavily reliant on Voltaire’s correspondence, both in the opening narrative and in the collection of letters that follows, but early readers were in no doubt that Voltaire had played an active part in its composition. As the reviewer of the Mémoires secrets put it in September 1776: ‘It is a third party who is supposed to be speaking; but from the style and favourable manner in which all the facts are presented, and from a multitude of secret and specific details besides, there can be no doubt that he supplied the materials and put in the colour’. 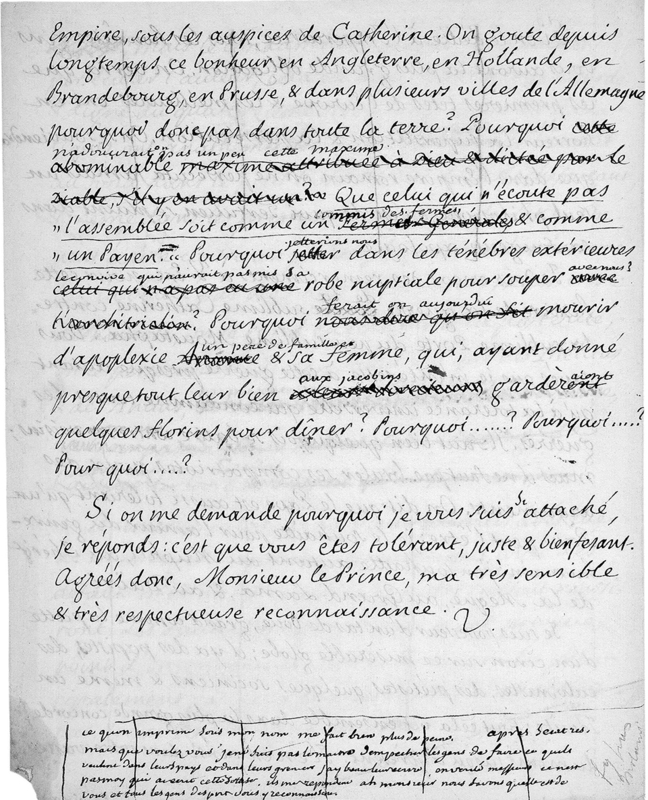 Manuscript of Voltaire’s letter to Dmitriy Alekseevich Golitsyn of 19 June 1773 in the hand of Durey de Morsan, corrected by Voltaire. With kind permission from the Royal Library of Belgium: Collection Launoit MS 315. 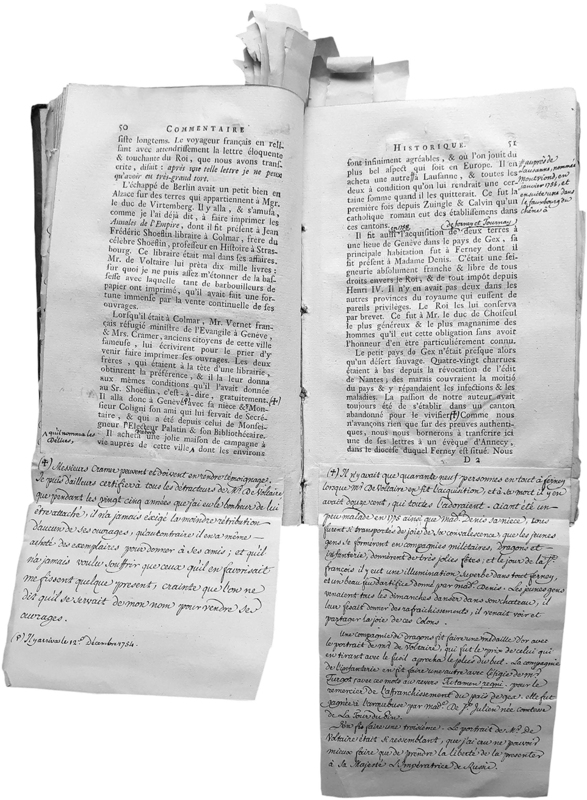 Revisions by Wagnière on a copy of the book sent to Catherine the Great after Voltaire’s death. With kind permission from the National Library of Russia: Bibliothèque de Voltaire 11-227. The Commentaire historique continued to grow and change even after Durey de Morsan had returned the documents he had seen. Voltaire’s letter on the Ganganelli forgeries is dated 2 May, and the one to Faugères on the superiority of all things seventeenth-century seems to have been written the following day. No doubt some rewriting was necessary when Turgot, the Controller-General of Finances, fell from grace on 12 May. He still features in the Commentaire historique – not least in the poem Sésostris, addressed to the king in happier times and given particular prominence as the final item in the volume – but never by name. The Declarations by Durey de Morsan and Christin in the first edition. With kind permission from the Bodleian Library, University of Oxford: VET.FR.II.B.1997. On 1 June, it was the lawyer Christin who signed a statement vouching that the documents had been copied accurately (in fact the letters were sometimes ‘improved’ for publication). And still the Commentaire historique kept growing. 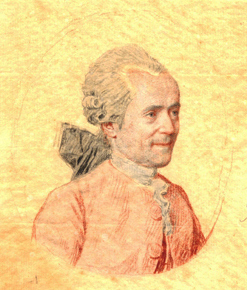 Voltaire’s letter to Spallanzani on slugs, tardigrades, and the nature of the soul is dated 6 June, and his letter ‘Sur le fameux cocher Gilbert’ must be later than the 24th, when he discovered that Gilbert, a witness against his protégé Morangiès, was apparently a pickpocket and a counterfeiter. In early July the disgraced lawyer Simon Linguet, who had helped to defend La Barre in 1766 and Morangiès in 1772, visited Ferney. Although his name is reduced to an initial, he can be associated with a disproportionate number of the letters included, raising interesting questions about the selection criteria. This edition of the Commentaire historique, with all its letters included and annotated for the first time, finally allows us to properly consider the text as a whole. I hope it might also help to demonstrate the usefulness of further work on the rest of Voltaire’s vast correspondence. The Commentaire historique is publishing in two volumes in September 2018. Volume 78B contains the introduction and a dossier on the text’s posthumous fate, and volume 78C contains the full text, including the ‘lettres véritables’ normally stripped from it, and annotation. The following post is reblogged from Oxford University Press. The author, Alyssa Russell, is a marketing manager at OUP on the Global Online Products and Academic/Trade teams. Voltaire, the French Enlightenment writer, historian, and philosopher, wrote over 20,000 letters during his lifetime. One can read through his letters to learn more about his views on democracy and religion, as well as the soul and afterlife. The following excerpts from his letters show how his thoughts and ideas about death and the soul evolved over time. Voltaire died four days later at the age of 83. As part of our efforts to establish the Voltaire Lab as a virtual research centre, we are pleased to announce a major update of the TOUT Voltaire database and search interface, expanding links between the ARTFL Encyclopédie Project and several new research databases made available for the first time. Working in close collaboration with the ARTFL Project at the University of Chicago – one of the oldest and better known North American centres for digital humanities research – we have rebuilt the TOUT Voltaire database under PhiloLogic4, ARTFL’s next-generation search and corpus analysis engine. The new search interface will allow users to formulate complex queries with relatively little effort, following lines of enquiry in a dynamic fashion that moves from ‘distant reading’ scales of exploration to more fine-grained close textual analysis. Also in collaboration with ARTFL, we have just released the Autumn Edition 2017 of the ARTFL Encyclopédie, a flagship digital humanities project that for the past almost twenty years has made available online the full text of Diderot and d’Alembert’s great philosophical dictionary. This new release offers many new features, functionalities and improvements. The powerful new faceted search and browse capabilities offered by PhiloLogic4 allow users better to leverage the organisational structure of the Encyclopédie – classes of knowledge, authors, headwords, volumes, and the like. Further it gives them the possibility of exploring the interesting alternatives offered by algorithmically or machine-generated classes. The collocation search generates word-clouds or word lists that are clickable to obtain concordances for any of the words immediately. Further improvements include new author attributions, various text corrections, and better cross-referencing functionality. This release also contains a beautiful new set of high-resolution plate images. Clickable thumbnail versions lead to larger images that can be viewed in much greater detail than was previously possible. Thanks to the Voltaire Foundation, full biographies of the encyclopédistes are directly accessible from within the ARTFL Encyclopédie simply by clicking on the name of the author of any given article. This information is drawn directly from Frank and Serena Kafker’s The Encyclopedists as Individuals: A Biographical Dictionary of the Authors of the Encyclopédie (SVEC 257, 1988) – still the standard reference for biographical information on the Encyclopédie’s 139 contributors. Our hope is that this first experiment will demonstrate the value of linking digital resources openly in ways that can add value to existing projects and, at the same time, increase the visibility of the excellent works contained in the Oxford University Studies in the Enlightenment back catalogue. Finally, we have begun the work of establishing new research collections that will form the basis of the Voltaire Lab’s textual corpus. For example, working with files provided by Electronic Enlightenment, we have combined all of Voltaire’s correspondence with TOUT Voltaire. This new resource, which we are for the moment calling ‘TV2’, contains over 22,000 individual documents and more than 13 million words, making it one of the largest single-author databases available for research. Due to copyright restrictions in the correspondence files we cannot make the full dataset publicly available, however we are keen to allow researchers access to this important resource on a case-by-case basis. Students and scholars who wish to access the PhiloLogic4 build of TV2 should contact me here. Sala Azurra of the Scuola Normale Superiore in Piazza dei Cavalieri. From left to right: Professor Vincenzo Ferrone (University of Turin), Professor Andrea Giardina (SNS) in the chair, and Professor Marcello Verga (University of Florence). 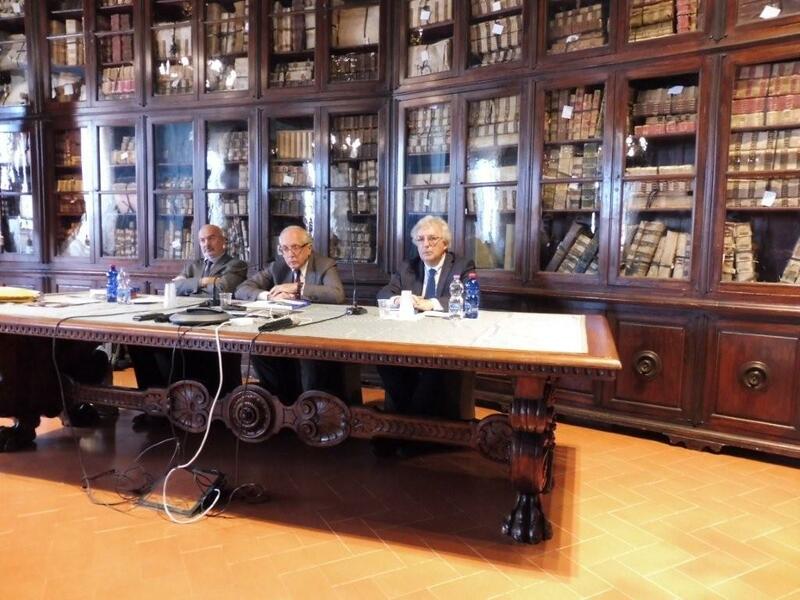 The Italian launch of the Correspondance du président de Brosses et de l’abbé marquis Niccolini, edited by myself and Mireille Gille, took the form of a one-day round table on 12 April in the beautiful Sala Azzura of the Scuola Normale Superiore in Pisa. The late Renaissance surroundings of Vasari’s building in the Piazza dei Cavalieri lent themselves perfectly to the evocation of two aristocatic eighteenth-century scholars whose wide-ranging culture was in itself a continuation of that very spirit of the Renaissance. The incontro was organized by Professor Andrea Giardina, who holds the chair of Roman History and is Director of the Laboratory of History, Archaeology, Epigraphy and Tradition of Antiquity. He is also the current President of the International Committee of Historical Sciences. After paying a handsome tribute to us for our work, he invited Professor Vincenzo Ferrone of the University of Turin, and Professor Marcello Verga of the University of Florence and also director of the Istituto di Storia dell’Europa Mediterranea du Consiglio Nazionale delle Ricerche (CNR) in Rome, to open the discussion. 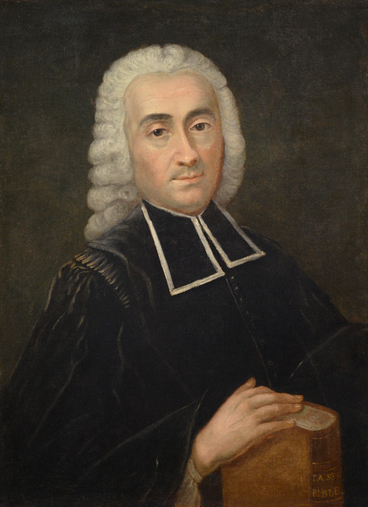 Professor Vincenzo Ferrone dwelled largely on the influence of Newton on Antonio Niccolini’s thinking, and he suggested that the abate may have been a freemason. He regretted the absence of references to the publication of the Encyclopédie in his correspondence with De Brosses. Professor Marcello Verga then picked up the references in the correspondence to Niccolini’s belief that his beloved Tuscany was in decline, an idea that also lay at the heart of the debates of Muratori and Tiraboschi. Moreover, if Niccolini said little about the politics of Tuscany, his views of European events are shown to have been particularly striking. Niccolini’s admiration for Montesquieu, whom he saw as serious critic of despotism, led Professor Verga to speak of the political role of the Florentine academies, such as the Crusca, where the scholarship of the elite also served to rein back despotism. He drew attention to Niccolini’s final belief that the Church was, indeed, the strongest bulwark against despotism. 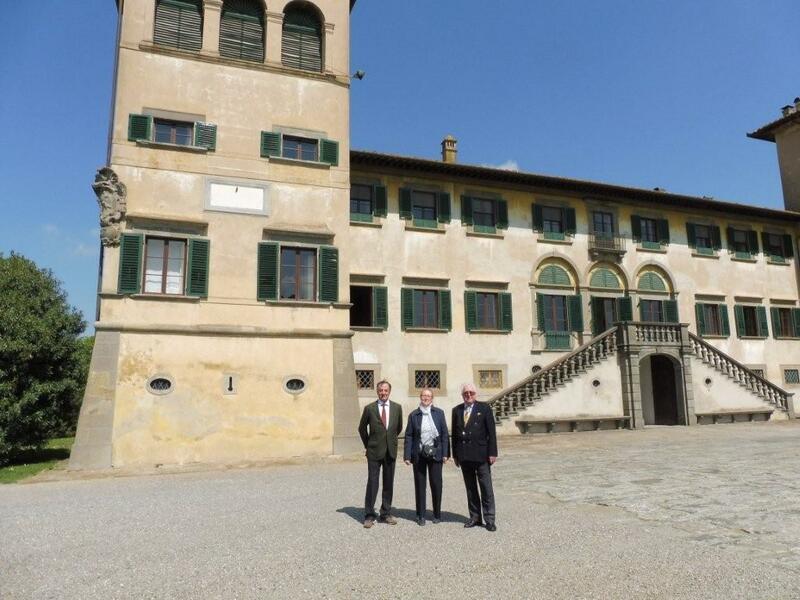 Villa at Camugliano (from left to right): Marchese Lorenzo Niccolini, Dr Mireille Gille, and Professor John Rogister, taken the day before, 11 April. In response to these stimulating points of discussion, Mireille Gille began by stressing the fortunate circumstances that had made possible the publication of both sides of the correspondence, while lamenting the loss of several letters which deprived us of any knowledge of Niccolini’s reaction to the news given to him by De Brosses of the publication of the Encyclopédie. She also described the rules adopted in the presentation of the texts that had enabled the correspondence to fully reflect the grammatical and spelling quirks of the two writers, one of whom was not writing in his native language. I then took up some of the points raised by the speakers. I questioned whether Niccolini was a freemason, saying that there was no formal evidence for the claim and that what got him into trouble was his initial hostility to the exclusion of the natural heir of the Medicis from the succession to the grand-ducal throne by the major European powers. Indeed I emphasised Niccolini’s ‘soft’ Jansenism, an approach similar to that of his friend Benedict XIV, and his secret role as a diplomat. Although an admirer of Newton, Niccolini sided with the view that ‘cento Newton non farebbero un Montesquieu’. After questions from a large audience of scholars, Professor Giardina thanked the participants and concluded the session by inviting those present to a reception. 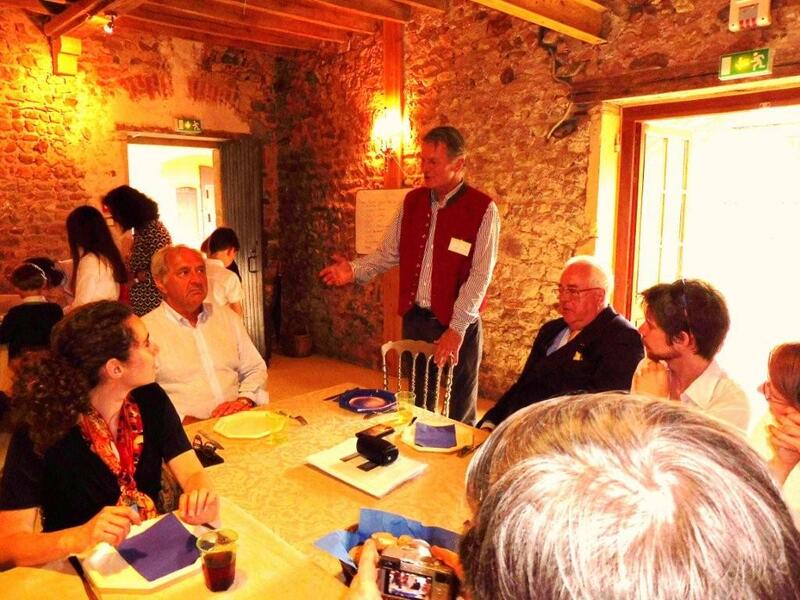 A congenial lunch hosted by Professor Giardina for the participants later took place at an osteria. Marchese and Marchesa Niccolini, who had made possible the publication of one half of the correspondence with documents from their family archives, were present at the session. The previous day Mireille Gille and I had been to their Medicean villa at Camugliano to present them with a copy of the volume, and we were shown the splendid estate. After a delightful lunch, we were taken on a tour of the villa from which Antonio Niccolini had written at least one of his letters to President de Brosses. Being in the very place that the abbé had put pen to paper was a very fitting start to the launch. The lunch: Alec de Brosses introducing Count Dorick de Brosses (left), John Rogister is on the right. When I mentioned to Alec de Brosses that there was to be a launch in Pisa of his ancestor’s epistolary exchanges with Niccolini, he was keen that there should also be one in France. For some years now, he had hosted occasional gatherings of the De Brosses family at his château d’Ailly near Parigny (Loire). As this year also marked the 240th anniversary of the death of président de Brosses in May 1777, it seemed appropriate to hold both events at the same time. The date was fixed for 3 June, near enough to the anniversary, and there would be a buffet lunch at which I would give a presentation of the volume. After travelling down from Paris the day before, Alec met me for the short journey in bright sunshine to the beautiful eighteenth-century château d’Ailly, where I was to stay. On either side of my bed were large prints of the comte de Saint-Florentin and cardinal de Tencin, not men who had been close to the président’s heart, one suspects. The next day, about sixty members of the De Brosses clan arrived in family groups bearing exquisitely prepared food for the lunch, and Count Dorick de Brosses, the owner of the président’s papers, came over from Saint-Trys with bottles of his chateau’s wine. 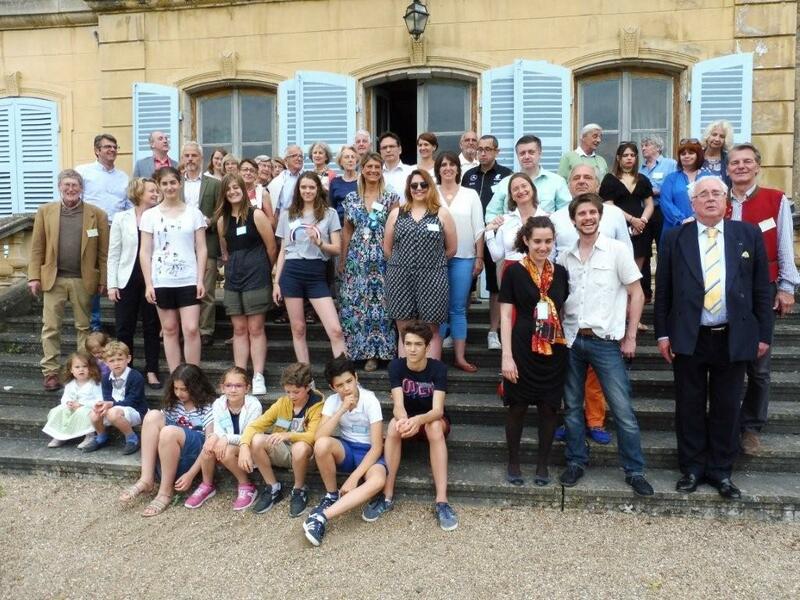 A group photograph of the De Brosses family on the terrace of the chateau after the lunch, including: (in front, on the right) John Rogister; (on the step behind him) Dorick and Alec de Brosses; (top left at the back) Count de Brosses, head of the family. There was a convivial partie de campagne atmosphere to the reunion, and sadly I was the only one dressed in city clothes, having just attended a very formal event at the Mazarine two days previously. This discrepancy did not seem to matter as the weather changed and rain forced us all to go indoors for the lunch. I gave my short speech, and concluded by presenting a copy of the Correspondance to Dorick de Brosses, who seemed to me to bear a striking resemblance to portraits of his ancestor. I could not help reflecting that the président had two wives and several daughters before he finally produced the son and heir from whom all present-day members of the family are descended. After lunch the sun came out again and group photographs were taken on the terrace of the chateau facing the lake. During the late afternoon most of those present departed, and those staying at Ailly had a final dinner there. The next day Alec drove me to Roanne to catch the train to Lyon, where I boarded a very crowded Whit-Sunday TGV back to Paris full of pleasant memories of the hospitality and wit of a remarkable family. 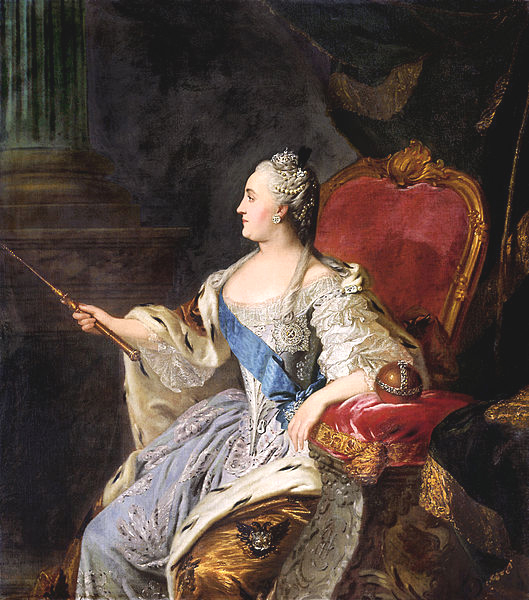 Catherine II, par Fiodor Rokotov, 1763. On comprendrait difficilement l’intense relation d’échanges et de transferts culturels qui s’est établie entre l’Europe occidentale et la Russie dans le dernier tiers du XVIIIe siècle sans étudier la correspondance, entre 1764 et 1796, de Catherine II, Impératrice de Toutes les Russies, et de son principal agent d’influence, Friedrich Melchior Grimm, natif de Ratisbonne établi à Paris qui fut longtemps le directeur de la Correspondance littéraire destinée aux têtes couronnées du continent. Cette correspondance ne comporte pas moins de « 430 lettres », ce chiffre étant cependant « donné à titre approximatif parce que les limites entre les lettres ne sont pas toujours très nettes », les épistoliers pouvant inclure dans une énorme « pancarte » plusieurs lettres écrites à des dates successives. Elle n’était jusqu’alors connue que par les éditions données par Iakov Karlovitch Grot dans le Recueil de la Société impériale russe d’histoire en 1878 (lettres de Catherine II à Grimm, t. 23) et 1885 (lettres de Grimm à Catherine II, t. 44). Quelque utiles qu’aient pu être ces éditions à des générations de chercheurs, force est de reconnaître qu’elles ont fait leur temps. Outre le fait que la séparation des correspondance active et passive en deux volumes rendait difficile de suivre le fil de l’échange, Grot ignorait plusieurs manuscrits, commit certaines erreurs et retrancha des lettres certains passages qu’il jugeait malséants. Aussi attendait-on avec impatience l’édition de cette correspondance par Sergueï Karp, directeur de recherche à l’Institut d’histoire universelle de l’Académie des sciences de Russie, qui travaille depuis longtemps sur Voltaire, Diderot, Grimm et leurs relations avec la Russie. Il a fait paraître en juillet 2016 le premier volume d’une édition qui devrait en comporter au moins cinq autres. Il couvre les années 1763-1778 qui virent Grimm passer du statut de simple commissionnaire à celui de principal agent de l’Impératrice. Faute de disposer de ce volume au format papier, on pourra le consulter au format électronique sur le site de l’éditeur moscovite. Force est d’évoquer la qualité, la richesse et l’importance de l’échange épistolaire. Plus qu’un agent de premier plan, Catherine II a trouvé en Grimm un ami et un confident avec lequel elle pouvait plaisanter en toute liberté. Ne lui a-t-elle pas écrit : « avec vous je jase mais n’écris jamais […] je prefere de m’amusér et de laisser aller ma main », ou, mieux encore, « je n’ai jamais écrit à personne comme vous»? Si cette correspondance est en ce sens familière ou « privée », elle est aussi « artistique » et « politique » pour reprendre le titre de l’édition. Catherine II n’était pas une simple collectionneuse mais une collectionneuse de collections; c’est à Grimm qu’elle confia le soin d’acquérir les bibliothèques de Diderot, de Galiani et de Voltaire, les loges du Vatican, pour ne donner que ces quelques exemples de cette frénésie d’acquisitions, de sorte qu’il n’est pas exagéré d’écrire que la Russie est redevable à l’Impératrice de la richesse de certaines de ses plus grandes institutions culturelles, comme la Bibliothèque nationale de Russie et le Musée de l’Ermitage. 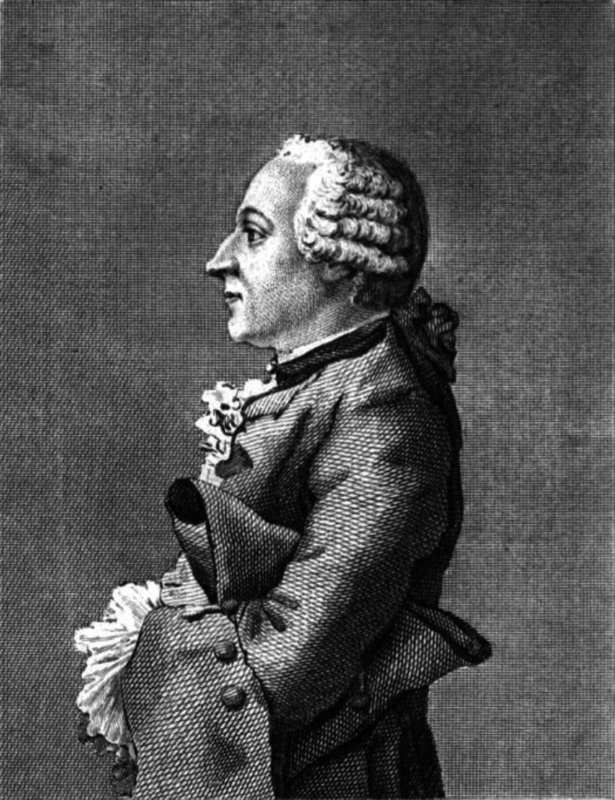 Friedrich Melchior Grimm, gravure de Lecerf, dessin de Carmontelle, 1769. On soulignera tout particulièrement la qualité des notes éditoriales de S. Karp. Elles sont requises pour éclairer la lecture de ces lettres qui, « dans la plupart des cas[,] sont strictement personnelles et volontairement obscures : c’est ainsi que Catherine a voulu les protéger contre la curiosité des tierces personnes ». S’adressant en 1801 à l’empereur Alexandre Ier, petit-fils de Catherine II, peu après son avènement, Grimm ne constatait-il pas « qu’il s’était établi entre l’immortelle et son pauvre correspondant, une espèce de dictionnaire qui a besoin d’une clef pour ne pas rester énigmatique »? Telle est cette clé que S. Karp offre au lecteur en faisant la lumière sur ce qui était destiné à rester obscur. On s’attachera à l’« Introduction » pour au moins deux raisons : la première, due à l’éditeur général, consiste dans une étude précise de l’évolution du rôle joué par Grimm qui a su se rendre indispensable à l’Impératrice ; la seconde, œuvre de G. Dulac et de C. Scharf, étudie avec finesse les particularités de son maniement du français et de l’allemand. Surprenant est, en ce qui concerne la première de ces langues, le paradoxe d’une souveraine qui recourt tout à la fois à des néologismes éloquents et à des tournures archaïsantes, que l’Impératrice a parfois héritées de son institutrice huguenote, Mme Cardel, parfois du théâtre de la Foire et parfois aussi de la plume de Voltaire, qu’elle considérait comme son « maître » dans le domaine des belles-lettres. On sait en revanche qu’elle ne possédait que des rudiments d’anglais et qu’elle maîtrisait mal le russe. S. Karp décrit admirablement l’arrière-plan de cette Correspondance. Suite au coup d’État par lequel son mari Pierre III fut renversé en 1762, Catherine II éprouva le besoin de justifier idéologiquement son règne tant au plan intérieur que sur la scène internationale, en sollicitant la plume des philosophes français qui façonnaient l’opinion publique. Grimm fut incontestablement le principal intermédiaire entre l’Impératrice et la scène philosophique occidentale. Mais contre l’opinion qui consiste à croire que les philosophes furent naïvement manipulés par une souveraine machiavélique, S. Karp considère fort justement, d’une part, que Catherine II a bien été la fille des Lumières, mettant en œuvre de nombreuses réformes qui ont permis une modernisation sans précédent de la Russie, et que, si instrumentalisation il y a eu, elle fut réciproque, les philosophes jouissant de l’actif soutien de cette puissante cour et ayant « utilisé l’exemple russe comme argument rhétorique pour critiquer les pratiques de la monarchie française » dont ils dénonçaient le despotisme. Frappant est le contraste de la Correspondance de Catherine II avec Voltaire, d’une part, et Grimm, d’autre part. Alors que la première est soigneusement relue et revue, empreinte de formalisme, la seconde est spontanée, souvent écrite à la diable et emplie de facéties. S. Karp montre clairement que leur liberté de ton « abolissait fictivement la distance sociale » qui les séparait. Il fait également justice de l’interprétation, notamment accréditée par Grot, consistant à dénoncer les « flatteries » obséquieuses dont les lettres de Grimm seraient farcies. Il remarque fort justement que « l’humour respectueux » des lettres de Grimm ne s’apparente pas à de la flatterie et que les « formes outrées de la politesse restaient traditionnelles au XVIIIe siècle, comme une composante obligatoire du dialogue entre un souveraine et un simple mortel » (à preuve, les lettres de Diderot ou de Voltaire). Catherine II ne se laissait pas prendre à ces éloges obligés, elle qui se moquait d’elle-même et de ses obligations de souveraine. Ce qui prime dans les lettres de Grimm, c’est leur humour : « ses plaisanteries et ses sarcasmes contribuaient largement à créer cette atmosphère de complicité et de gaieté dans laquelle purent se développer leurs relations ». Tout spécialiste du siècle des Lumières en général, et de Voltaire en particulier, devra désormais se référer à l’édition des lettres de l’Impératrice et de Grimm qu’on ne nommera désormais plus que « l’édition Karp » et dont on attend avec impatience l’achèvement tant elle contribue à renouveler notre compréhension du dernier tiers du XVIIIe siècle. Catherine II de Russie. 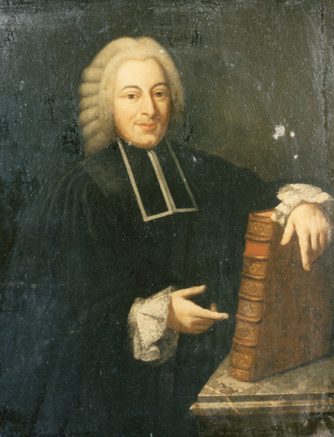 Friedrich Melchior Grimm. 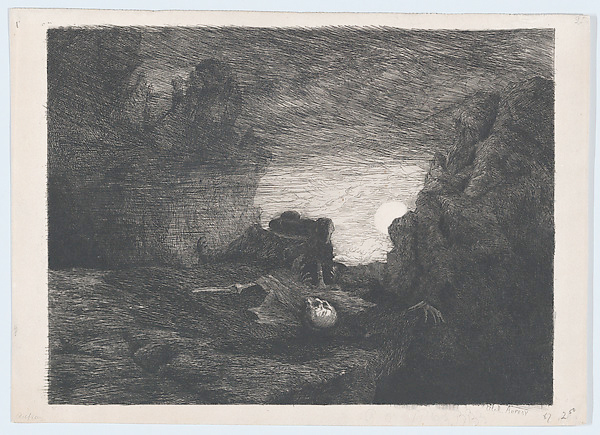 Une correspondance privée, artistique et politique au siècle des Lumières. Tome I. 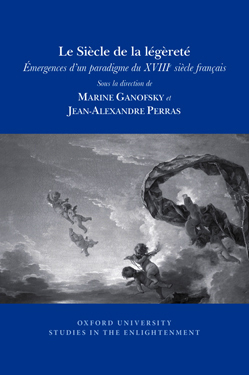 1764-1778, édition critique par Sergueï Karp, avec la collaboration de Georges Dulac, Christoph Frank, Sergueï Iskioul, Gérard Kahn, Ulla Kölving, Nadezda Plavinskaia, Vladislav Rjéoutski et Claus Scharf, Centre international d’étude du XVIIIe siècle, Ferney-Voltaire, et Monuments de la pensée historique, Moscou, 2016, lxxxiv p., 341 p. et 3 p. non paginées, 26 illustrations.